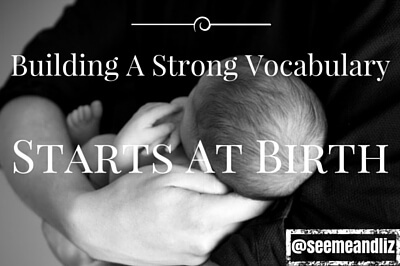 Building A Strong Vocabulary Starts At Birth! 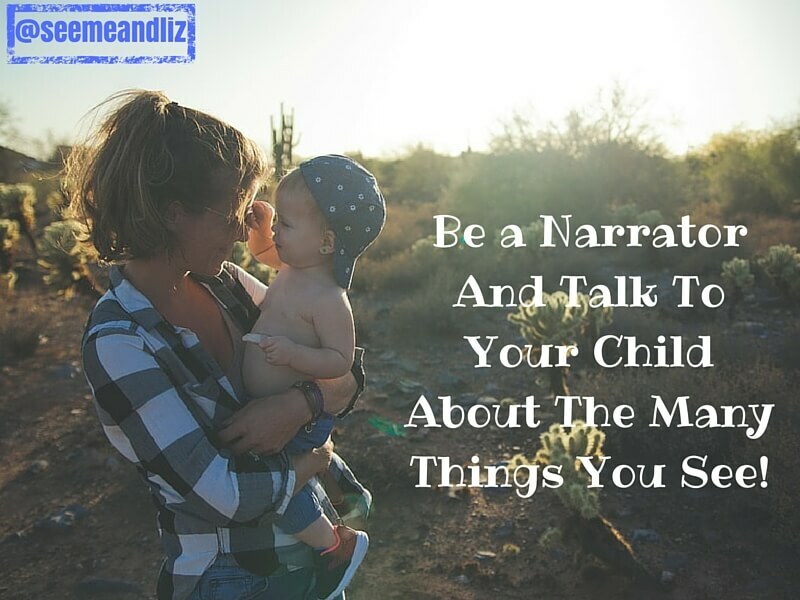 Seeme & Liz > Parenting Tips (0-2 year olds) > Building A Strong Vocabulary Starts At Birth! Babies start learning from the day they are born. And vocabulary development is no exception. 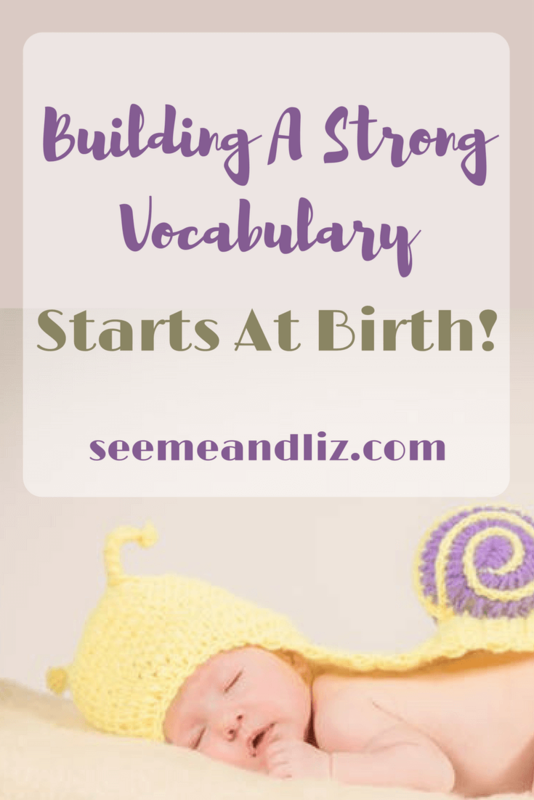 This is why building a strong vocabulary starts at birth! 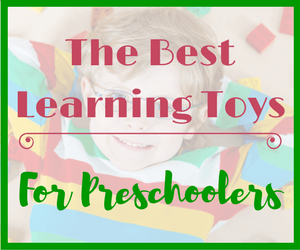 Since everything is new to an infant there is so much knowledge for them to acquire. 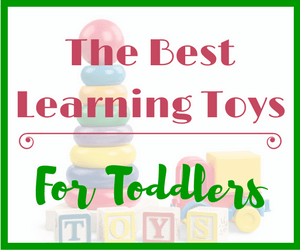 Many skills that are a challenge for a baby are often taken for granted by an adult. Language development, in this case vocabulary, is one such skill. There are 2 parts to vocabulary development I want to clarify. There is receptive vocabulary (understanding) and the expressive vocabulary (production). A baby’s/toddler’s receptive vocabulary will be quite a bit larger than his expressive vocabulary. In order for a young child to start using words, she must first understand them! Research is showing that the amount of words a child knows at the age of 5 is a strong predictor of his ability to learn to read (Weitzman, E. & Greenberg, J. (2010). 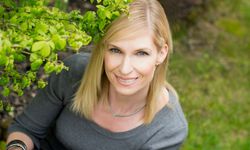 ABC and Beyond: Building Emergent Literacy in Early Childhood Settings. The Hanen Centre: Toronto). We are also learning that a child’s overall school achievement is linked to vocabulary growth and development (Rowe, M. (2012). A Longitudinal Investigation of the Role of Quantity and Quality of Child-Directed Speech in Vocabulary Development. Child Development: 83(5), 1762-1774). In order for a child to be a successful reader he must know how to decode words (segment large words, sound out letters and parts of words, etc.). However, for a child to be able to decode words and make sense of them she must have a good vocabulary base. What use is it to be able to decode a word but have no idea what it means? Because we know about the importance of a child’s vocabulary, let’s look at some ways to make sure your child is developing her vocabulary starting at birth! From the day your baby is born talk, talk and talk to him! Although he doesn’t understand you, he soon will. And babies love hearing the sound of their parents/caregivers voices. 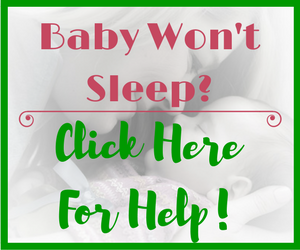 As your baby grows and becomes more alert and aware of his surroundings, label items that he comes into contact with on a regular basis. For example, talk about his bib, bottle, high chair, book, dog, etc. A child needs to hear a word up to 100 times before she will begin using it spontaneously on her own. Whenever possible try to show your baby what you are talking about so that he has a reference point. If you are talking about his bib, make sure that a bib is close by. When you are in the store, show him a bib and talk about how it’s used to help keep his clothes clean. There will be times when all your baby wants is to be held. Take this time to walk around the house pointing out things you see! For example, say something like “look at the mirror, I can see you in the mirror”. You can keep this going for quite some time. Move away from the mirror and they say “where did you go?”, then get back in front of the mirror and say “there you are, I see you in the mirror”. You get the idea. Opportunities for language development and vocabulary building are all around you. You don’t even need to take your baby out of the house! Studies have shown that reading to your baby is a great way to facilitate language development and build vocabulary. Reading to a young child exposes them to many new words. And, did you know that you don’t even need to read the text that is written in a book? Your baby won’t know if you are or aren’t. You can make up your own story or just point out and label some key pictures. The same book can be “read” many different ways. As your child gets older and is exposed to more abstract words, make sure you take the time to explain these words. 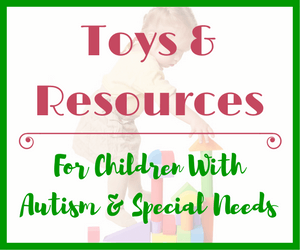 By following your child’s lead you are showing her that you are interested in what she is interested in. Your child is more likely to pay attention and learn new words when she is engaged and excited about the activity. The same can be said for adults. How would you feel if someone told you that you had to sit through an algebra class, but algebra is something you have no interest in? I bet you wouldn’t be very happy about it and as a result you probably won’t learn much. But if you loved photography and were told to participate in a photography class, there is a good chance you would retain a lot of the information that was taught. If your child is really interested in pretending to make a meal, go with it. Talk about what kinds of foods you and he would like to eat. Discuss how you could make a sandwich for example. You can also take this opportunity to talk about going to a restaurant and deciding what to eat based on what is on the menu. You could explain what a menu is. But keep the age of your child in mind. This sort of scenario would be applicable for a child that is over the age of 2. Following your child’s lead is something that happens once your child is mobile and ready to explore her environment. 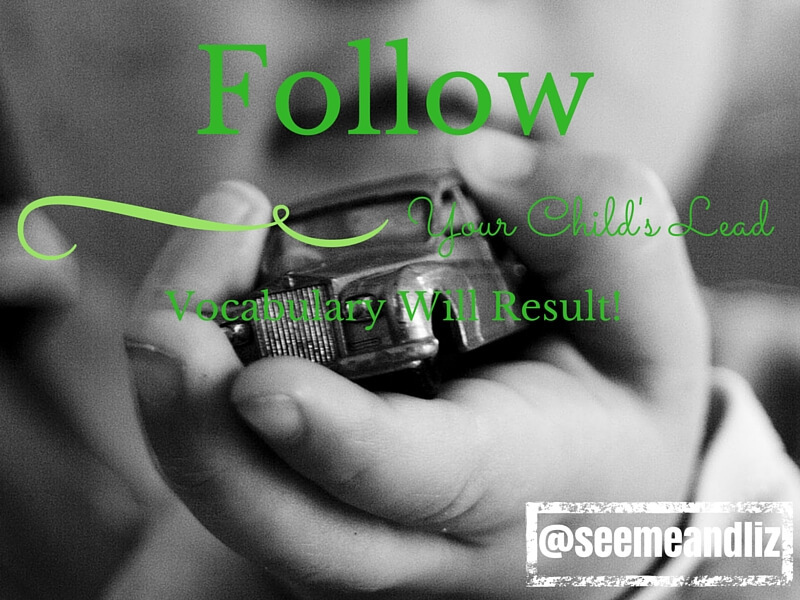 Don’t get too carried away with bombarding your child with new words. You still want to keep things as natural as possible and keep the age and ability of your child in mind. Talk, Talk, And Talk Some More! Building a strong vocabulary really does start at birth. There are an endless number of words in the English language (and probably in all other languages as well). The sooner a child is exposed to a variety of words the more words she can continue to learn. Don’t hesitate to use “big” words around your child either. Just make sure that you take the time to explain these words and/or use them in sentences with other words your child already knows. Just one word of caution, keep all of your interactions and communication with your little one as natural as possible. 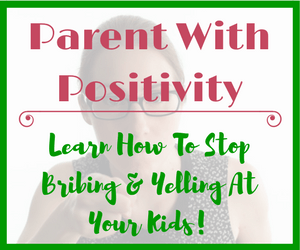 You don’t want to pester your child with a constant stream of new words with little to no context. Wow… Never would’ve thought that kids could start learning big words from a young age. When I think about it, it makes sense. My parent’s vocabulary is probably the first one I began using. I will keep this in mind the next time I’m hanging out with my nephew. Thanks a lot for this informative article! Thanks for your comment Jerry!